A.W. 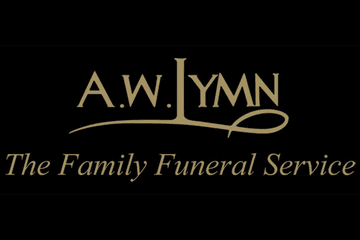 Lymn is a family-run funeral director firm serving bereaved families from Derby City Centre and all across the South Derbyshire area. Dan at Lymns was very helpful and supportive. The organisation and professional planning and delivery of Mums service was very appropriate. They were a great help throughout, we were all very happy with Lymns, thank you. Everything was first class. Would highly recommend. 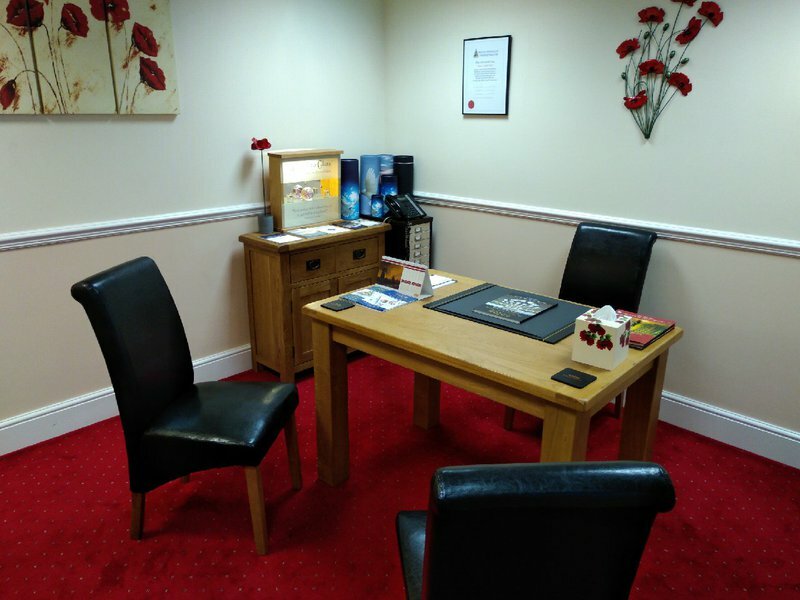 Our Derby office was originally established and opened by our funeral director David Meek, who remained at the office until his retirement in 2012, but who still continues to work on a casual basis. This funeral home became part of the A W Lymn group in 1986 and the premises are located in the City Centre, at Derwent House, on Becket Street. 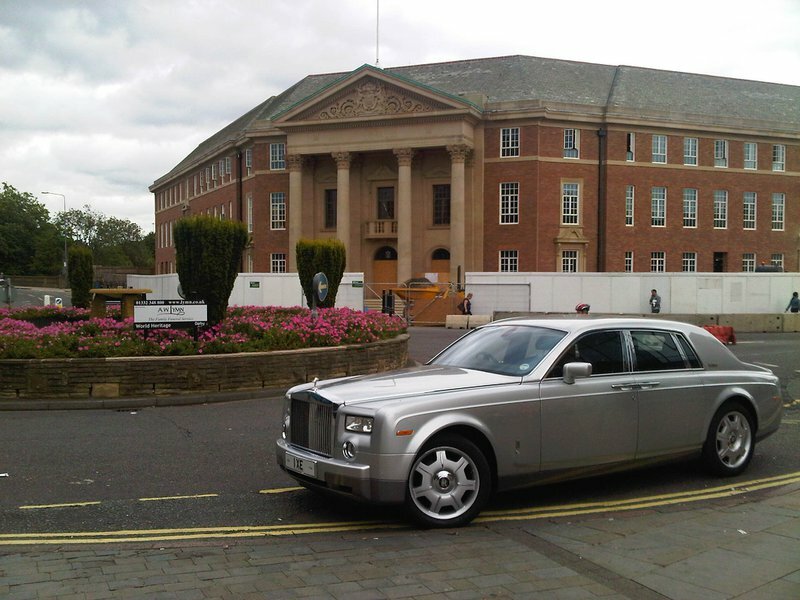 The office features garaging for a new fleet of Rolls Royce Phantom cars and also displays a hearse from the 1890’s. Derwent House includes a reception, off-street parking, a family room, a visitation room, cold room facilities and washing facilities for Asian and African / Caribbean funeral rites. 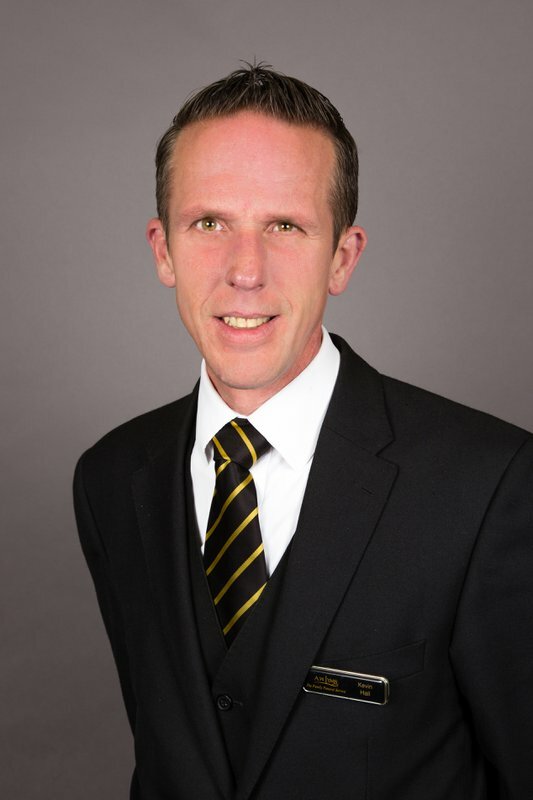 Kevin Hall, our senior funeral director who manages the surrounding area, has been with A W Lymn since 2003 and is aided at the branch by funeral directors Derek Twigg and Dan Barnes. Derek is also a licensed reader for the Church of England. Our opening hours are 9 am to 5 pm from Monday to Friday, and 9 am to 12.30 pm on Saturday. You can call us anytime of the day, seven days a week to schedule an appointment outside of these hours if you would prefer. This branch covers Derby city centre and its surrounding areas including Allestree, Alvaston, Belper, Breadsall, Chaddesden, Darley Abbey, Duffield, Littleover, Mackworth, Markeaton, Osmaston, Pride Park, Sinfin, Spondon and beyond. Nigel Lymn Rose along with his son Matthew and his sister Jackie own and manage A W Lymn The Family Funeral Service. Very professional, and Dan who was based in the office, and made all the arrangements was a pleasure to deal with. Thank you for your positive comments, we are glad we could be of service to you at this difficult time. Dan. 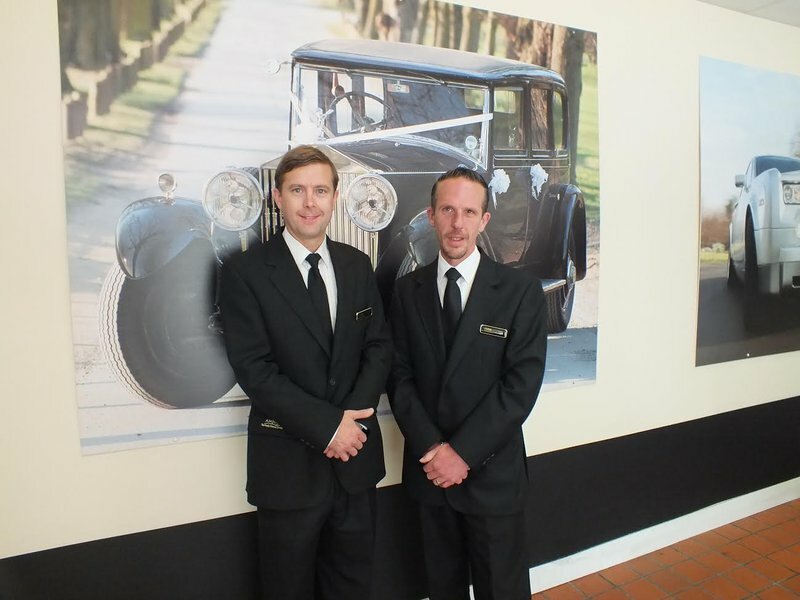 Thank you for taking the time to review the service provided by Kevin and Dan at Derby. We are glad that their considerate, sensitive and efficient service made this sad time a little easier for you. Dan Barnes and the team were a great help at a difficult time. They were well organised and showed nothing but professionalism and empathy. Thank you for your positive words, we are pleased that we could be of assistance at this difficult time. Dan. Lymn in Becket Street Derby provided a very professional and caring service. From the first contact with Dan everything was very efficient. At a very unpleasant time in my life it was a great comfort that Mum’s funeral was just as I wanted it to be. I was particularly pleased with the order of service and the ease of choosing the music i wanted. Thank you very much to the whole team. Thank you for your kind words, we are glad that we could make this difficult time a little easier for you and assist you in giving Mum the funeral that you wanted for her. Thank you, Dan. From start to finish we received excellent care and attention from the team at Lymn's. Dan dealt with our requirements throughout in a caring, thoughtful and professional manner. On the day Richard and the team carried out their duties in a truly respectful, calm and supportive way. I'm so pleased that you appreciated how we cared for you at this difficult time and I thank you for taking the time to write such kind words. Thank you, Richard. We are pleased that you found the team at Derby to be helpful and sympathetic and thank you for this positive review. We note that you have given a 4* rating and if there is anything further that we could have done for you then we would welcome this feedback. Thank you. I can not thank them enough,they are amazing , I would like to say a big thank you to all the staff and especially Dan Barnes, without his help I know my mum wouldn’t of had such a beautiful day . Thank you for choosing A. W. Lymn Derby, we are glad that we could assist in giving your Mum the funeral that you wanted for her. Dan. Thank you for this positive review, I am please that everything ran smoothly for you at this sad time. Dan. Could not have asked for better people or a better service. They did an amazing job and made everything so easy for us. Special thanks to Dan, Kevin and the rest of the team. Thank you for your kind words and for choosing us to take care of the funeral arrangements for you. I’m glad that we could make this difficult time a little easier for you and your family. Thank you, Dan. Very professional, really couldn't pick any faults in the whole service at all. Thank you for your kind comments, we are glad that you were happy with all the service you received. Excellent service at a very difficult time. Everything was taken care of by Dan, in a friendly and sympathetic manner. Thank you for your kind words, I am glad we could make this difficult time a little bit easier for you and your family. Dan. We were very impressed with the service provided and could not fault it in any way. We are pleased that your received faultless service from the team at Derby and they join me in thanking you for this positive review. We are pleased that you found the team at Derby to be professional and outstandingly helpful and that their support and understanding helped make this difficult time a little more bearable for you. Thank you. Very respectful and took care of every aspect of organising my dads funeral. Both Dan and Kevin has asked me to pass on their thanks for your review, they are glad that they were able to help you during this sad time and that everything went as planned. Very professional service and the team made sure that all went to plan. Thank you. We are pleased that you received professional service from all the team at Derby and thank you for your positive review. 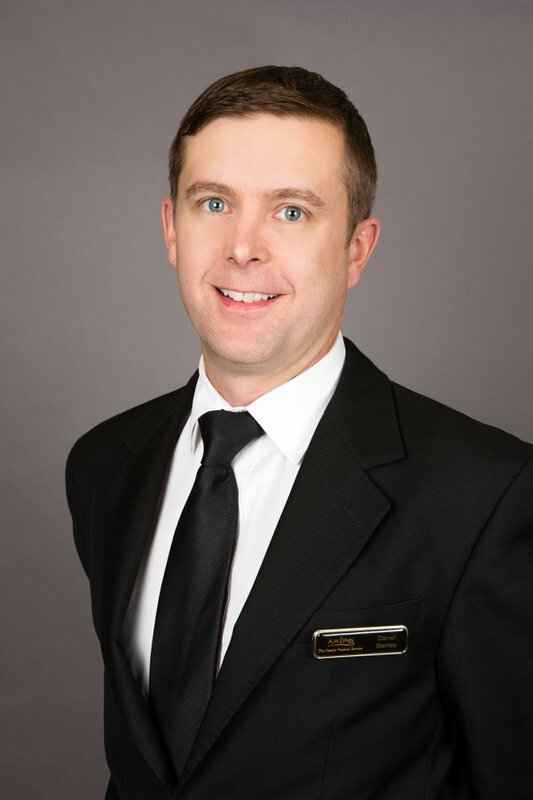 Dan was so friendly and helpful when planning my funeral, I couldn’t have asked for anymore. Also Kevin was really professional and friendly on the day of the funeral. Thank you for your positive comments, we’re glad we could make this difficult time a little bit easier for you. Dan and Kevin. Thank you for your positive comments, I am glad we served you and your family well, I will make sure the whole team are aware of what you have said. Kevin. At a very upsetting time, Lymn's have been sensitive, helpful and caring. Dan was patient to the last, helping us to come to the final decisions, explaining everything along the way. On the day, the whole funeral was conducted in a professional manner, which our Father would have been impressed with. We were treated kindly and directed like a finely tuned play. Excellent service. Thank you to all who helped the day go so well. We are pleased that Dan’s kind, caring and patient manner helped support you during this sad time and that everything went well for you on the day. We would also thank you for taking the time to leave this positive review. Kevin Hall & all the staff have been amazing. Sadly for us,this is our third family funeral in less than two years. On each occasion Lymns have helped & supported us through all the preparations. On the day of the funeral, the staff were respectful & attentive. They had large umbrellas & made sure that everyone was dry & comfortable. I would thoroughly recommend Lymns, when a loved one passes away. It has been an honour to be chosen each time to make the arrangements and carry out the service on the day for your family and I am grateful to you for taking the time to leave this lovely review of the service I provided. Thank you, Kevin. We are pleased you were given plenty of time to make decisions regarding the service and that the team at Derby treated you care and respect throughout. Thank you. We were so impressed with how supportive and professional the service was from Lymns. From beginning to end Kevin assisted and took care of everything beautifully. We absolutely would recommend them to anyone looking for a personal friendly compassionate family centered company. Kevin joins me in thanking you for your kind words and recommendation. We are pleased that he took care of every aspect for you and supported you so well during this sad time. Excellent service provided & they couldn't have been more helpful. Thank you for your kind words, we are pleased that you received excellent service and found the team at Derby to be helpful. A.W. Lymn Derby will provide you with a free obituary as part of their service.